You are currently browsing the category archive for the ‘Roosevelt Facts’ category. October 5, 1937: FDR gives a campaign speech in Chicago calling for a “quarantine” of the aggressor nations. On October 7, 1942 FDR announced his plan to try war criminals after the war. On October 5, 1944 FDR called for an end of poll taxes during a radio address. September 3, 1940: FDR approves the “destroyers for bases” deal with Great Britain. Through this deal, the United States transferred destroyers to the British Navy in exchange for leases for British naval and air bases. On September 1, 1937, FDR signed the National Housing Act establishing the U.S. Housing Authority. On September 2, 1940 FDR dedicated the Chickamauga Dam near Chattanooga, TN. On September 7, 1941, FDR’s mother Sara passed away. On August 14, 1936 FDR set forth a foreign policy of neutrality at Chautauqua, NY. On August 14, 1941 FDR announced the Atlantic Charter. 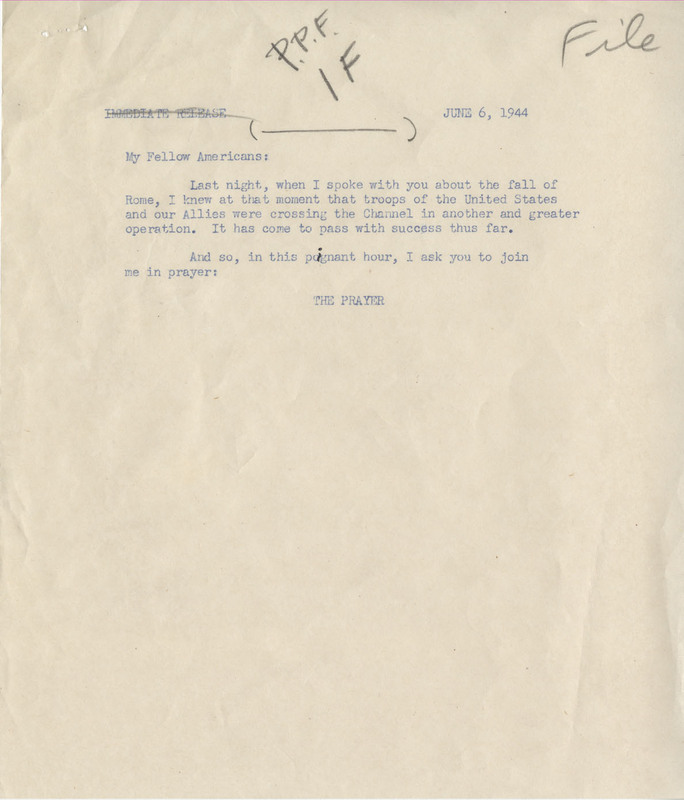 June 22, 1944: FDR signs the G.I. Bill of Rights which offers educational assistance to veterans. Franklin D. Roosevelt signs the G.I. Bill. FDR Library Photo Collection. NPx. 64-269. On June 26, 1935 FDR issued the executive order establishing the National Youth Administration. On June 30, 1938 FDR laid the cornerstone of the federal building at the New York World’s Fair in New York City. 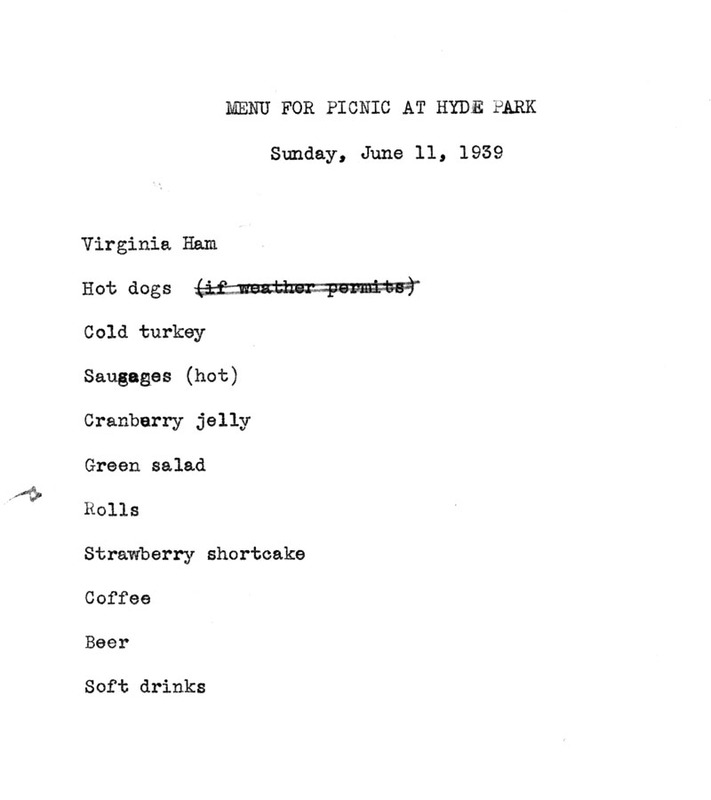 On June 30, 1941 FDR dedicated the FDR Library in Hyde Park, NY. On June 12, 1939 FDR addressed the graduating class of the U.S. Military Academy at West Point, NY. On June 10, 1940, FDR issued a proclamation of neutrality in the war between Italy, France and Great Britain. 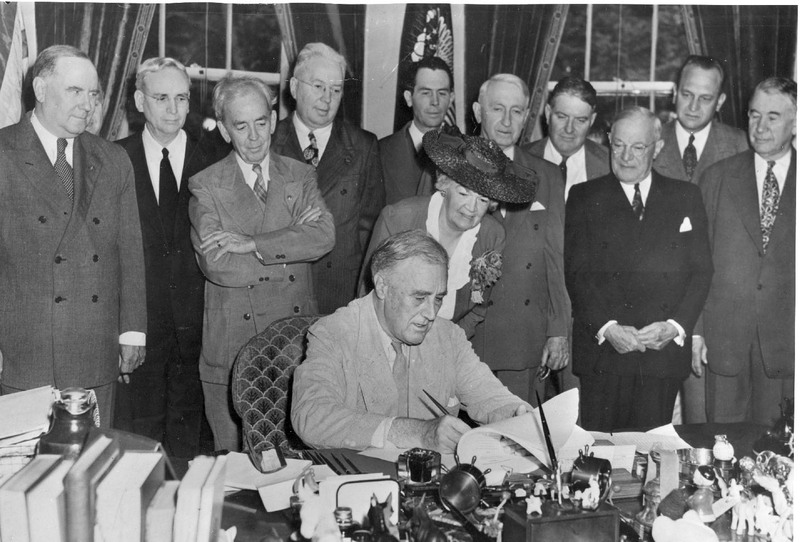 On June 13, 1942, FDR issued the executive order establishing the Office of War Information and a military order establishing the Office of Strategic Services. June 6, 1944: FDR announces the D-Day invasion. 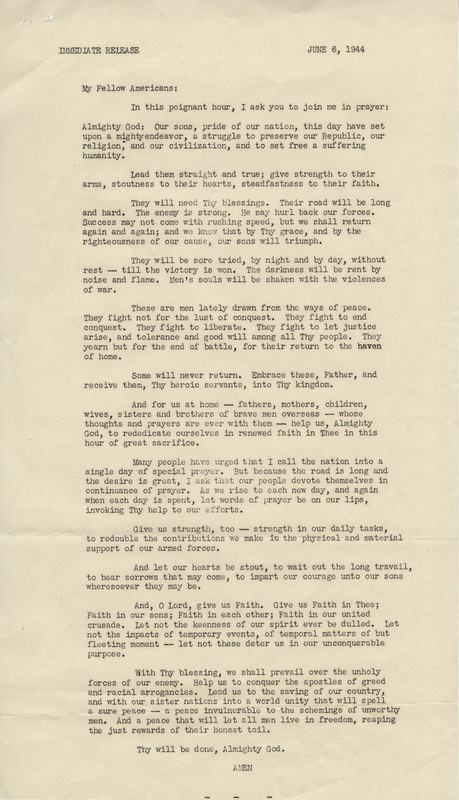 Click here to listen to the D-Day prayer on our website. On June 2, 1938 FDR addressed the graduating class of the U.S. Naval Academy at Annapolis, MD. On June 5, 1942 FDR signed a joint resolution of a state of war between the U.S. and Hungary, Rumania, and Bulgaria. 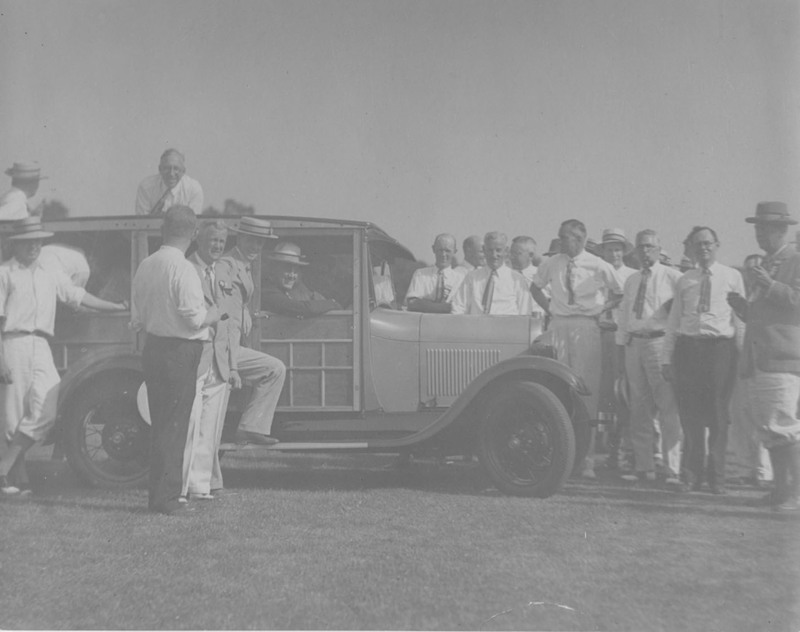 May 11, 1935: FDR creates the Rural Electrification Administration to bring electricity to isolated rural areas not serviced by private utilities. 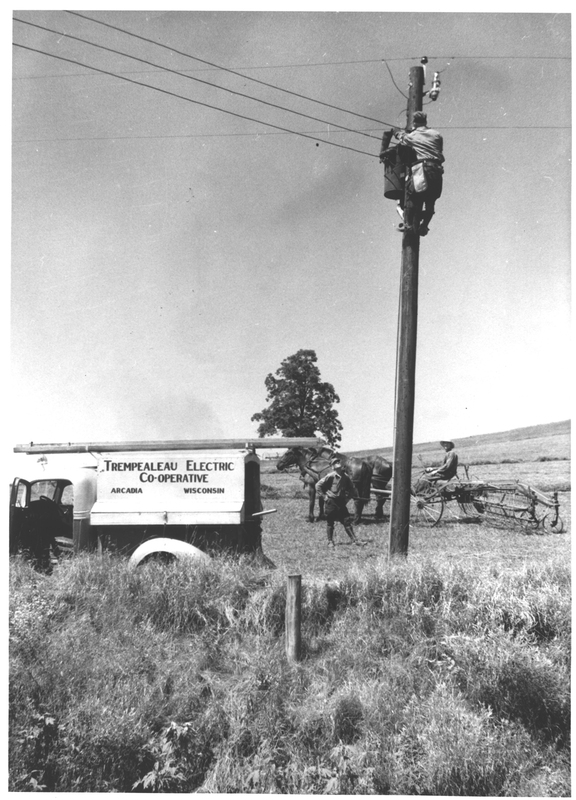 Rural Electrification Admin (REA): lineman working on pole as farmer watches. FDR Library Photo Collection. NPx. 63-295. On May 10, 1939, FDR participated by radio in the dedication of the Museum of Modern Art in New York City. On May 14, 1942, FDR signed the act establishing the Women’s Army Air Corp. This was the first time women were enlisted for noncombat military service. 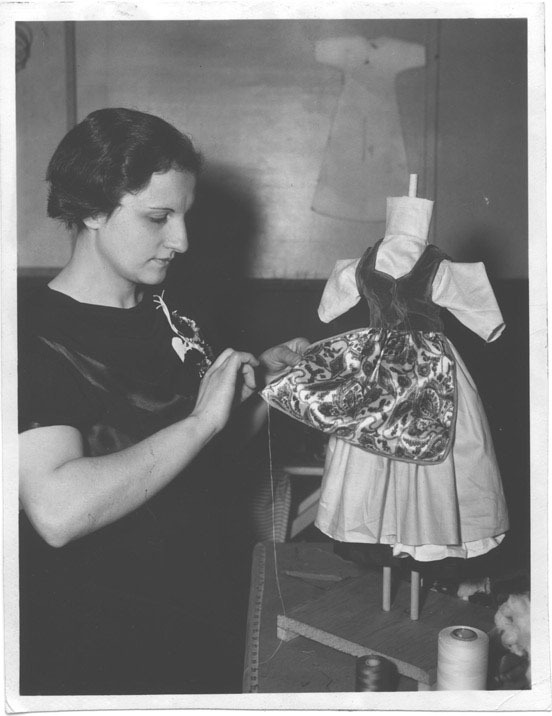 May 6, 1935: The Works Progress Administration opened its doors and began sending unemployed Americans back to work. FDR Library Photo Collection. NPx. 48-49:1(262). On May 4, 1941, FDR dedicated the birthplace of Woodrow Wilson in Staunton, Virginia as a national shrine.